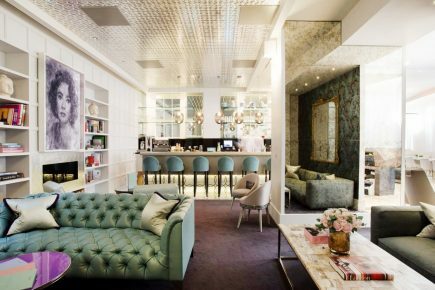 Grace Belgravia is a leading health, wellbeing and lifestyle club for women, built on the philosophy that to enjoy life to the full, we need to invest in our greatest asset, our health. Creating the blueprint for true health, the club is led by a team of internationally recognised medical experts and therapists who can advise for every stage of life. As such, preventative medicine and ageing well informs every aspect of Grace, from the integrated wellbeing and medical clinic to the spa retreat, gym and restaurant. There is also a dynamic events and networking calendar with a focus on arts, fashion, culture, current affairs, health and wellbeing. At the Grace Spa, the focus is on the raw power of nature – thermal mineral water, purifying algae, essential oils and herbs – to help every aspect of your emotional, physical and mental wellbeing. In addition to the hammam and herbal sauna, a range of treatments and programmes are on offer, which can include diagnostic testing, infusions, nutrition, specialised detox treatments and exercise. As well as the excellent on-site restaurant and bar, serving delicious, seasonal and nutrient dense cuisine, Grace offers it’s own Healthy Home Delivery service, featuring six gluten, dairy and refined sugar free menus that can be delivered straight to your door. New for winter 2016 is the Sunday Grace Detox Brunch, whereby members and non-members alike can enjoy a three-step detox menu that will flush out the results of an overindulgent late night and re-boot you for the week ahead. Available to non members: Grace healthy home delivery, Grace medical and wellbeing clinic (over 21’s), sunday grace detox brunch and day spa packages.